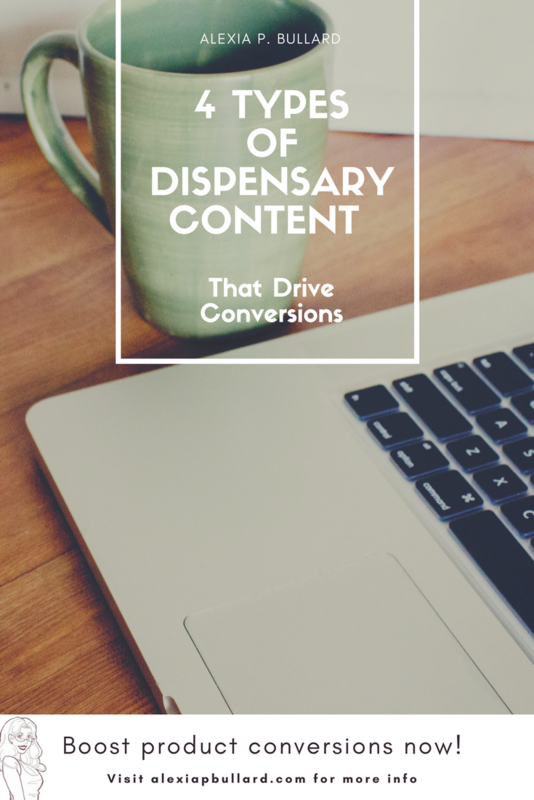 If you’ve been keeping up with digital marketing trends, you likely know blogging should be at the heart of your dispensary content marketing strategy. Generates leads: Businesses that published 11+ blog posts per month generated more than 4x as many leads as those that publish 4-5 times per month. 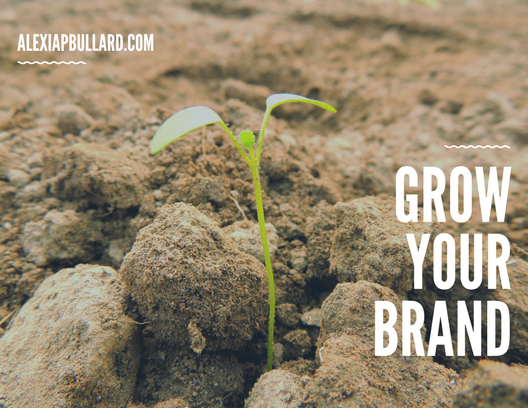 As if that wasn’t already great, brands that create 15+ blog posts per month generate an average of 1,200 new leads per month. Increases website traffic: 10% of all blog posts are compounding, and these generate 38% of all website traffic. Additionally, businesses with 16+ blog posts per month received 3.5x more traffic than businesses with only 0-4 blog posts per month. Costs less: Content marketing costs about 62% less than traditional marketing, while simultaneously generating three times as many leads. Attracts customers: 73% of purchases take place after the customer has read about it. Closes sales: 57% of salespeople state customers are less dependent on them during the buying process. Content is what sells the products. Even though in-deepth content marketing drives customer purchases far beyond the reaches of lead generation, most brands still only create dispensary content that emphasizes inbound marketing. Maximize your dispensary content marketing efforts by creating different types of content for each step of your dispensary sales funnel. Content that was created solely to make it easier for customers to find you online. Regardless of whether they’re finding your dispensary through search engines or social media, you want your content to come across as relevant, interesting, and valuable. Your content needs to make a great first impression. Inbound marketing is focused on shareability, which is important because lead generation depends on getting as much targeted website traffic as possible. Creating highly visual content will generate the majority of those leads. Website visitors and customers can consume visual content faster and more easily than with other types of content. Infographics take massive amounts of information or data, and breaks it down into tiny, easy-to-comprehend nugs. They’re great for list posts, discussing trends, and doing round-ups. Infographics also lead to a 12% increase in website traffic. Plus, Google's search volume for infographics has increased more than 800%! Can't ignore those kind of numbers. By 2021, IP video traffic will account for 82% of all global consumer Web traffic. This is up from 73% in 2016. When it comes to creating video content for inbound marketing, stick to videos that are somewhere between 1 and 3 minutes long. Additionally, video-based social media platforms, such as Snapchat, will help raise brand awareness and drive website traffic. When used effectively, that is. Humorous or eye-catching images are among the most commonly shared types of content. Creating or finding high-quality and / or funny images requires some effort, time, and resources. However, it will all pay off. Avoid controversy, as there may be quite a few people who don’t like your content AND don’t want to share something like that. Long-form blog posts certainly have their place in the sales funnel (we’ll get to them in a moment), but short-term posts are some of the best ways to create inbound marketing content. If you’re going for the bare minimum required to get your blog post indexed by Google, then all you need is around 400 words. But, this won’t do much in terms of driving traffic and getting conversions. If you want to optimize your content (in order to build consumer-brand trust, educate your customer, leverage SEO benefits, and position your brand the way you want it to be seen), then you’ll need to add some more content. For the purposes of this blog post, we’re considering long-form content to be blog posts, white papers, case studies, and other marketing collateral of 2,000+ words. Short-form content is usually around 1,000 words, give or take. A short-form blog post can be as short as 500 words, yet still drive the results you’re looking to achieve. The middle “sweet spot” would be a blog post length of around 1,600 words. 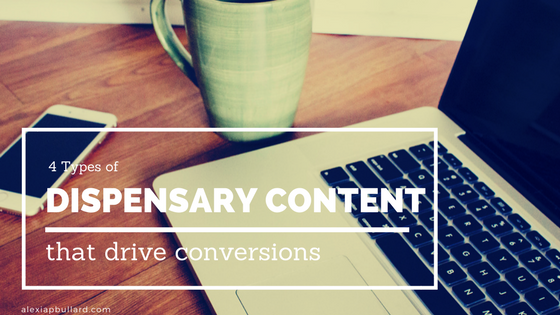 In order to determine which type of content is the best fit for your dispensary and brand, consider your content marketing objectives. Tailor your content length to match. Your dispensary has products you’re pushing, especially new products that don’t have a whole lot of precedent. In that case, longer content would be the best way to explain your product and add value to readers’ lives. You’re promoting products with higher price tags, such as over-sized bongs or electric grinders. Website readers are going to want to gather as much information as possible before they make their purchase decision. They want to feel validated in their choices. You are offering products, services, or events, or activities that require a larger-than-most commitment on your customer’s part. This is content like gift guides, product round-ups for gift baskets, etc. The topic is more technical than the norm for a dispensary, such as a guide to terpenes or the science behind edibles. Your product is something your readers are already familiar with, is inexpensive, or is common knowledge. This doesn’t require much of an explanation, like joints or topicals. The content will be read specifically by qualified leads. You’re creating content for a platform that requires fewer words. This includes social media ads, an email newsletter, or PPC ads. In other words, the length of your content is determined by how educated your customers already are, versus how much they need to be informed; by where your readers are in the sales funnel; and by the overall marketing goals you set for your dispensary content marketing. Plus, Google’s search volume for infographics has increased over 800%. That’s hard to ignore! Publish a short article on a cannabis-related website, or in a digital cannabis publication. This is one of the best ways to raise brand awareness and position your brand in front of the target audience you are trying to reach. Keep the article short and value-driven, and remember to add a brief bio with a link back to your website. Doing so will expand your dispensary’s brand and position your brand as a credible cannabis industry authority. Long-form is not only great for your SEO efforts, but it’s also one of the best ways to nurture leads. Most of your website visitors will be be likely to exchange their contact information (i.e. name and email) for valuable long-form content. The information from these leads can then be used for email marketing, social media marketing, and other types of dispensary content marketing campaigns. Webinars provide a chance for you to give your customers important information and answer questions they may have. These questions could be related to anything from dabs (demos and reviews) to new Washington cannabis producers to watch. Platforms like Citrix GoToWebinar collect your participants and their information, show them your content’s presentation slides, and provide a place for FAQ sessions. Some brands ditch the structured presentations like webinars. Instead, they schedule information online Q&A sessions on platforms like Google Hangout or on Facebook Live. The casual, informal nature of these resonate well with most dispensary audiences. Try it with your own target audience to gauge its effectiveness with your leads. E-books provide the perfect medium for going in-depth into your product descriptions, your vendors, or your other cannabis-related ideas. This includes gift guides, a Your Guide To____ e-book, or related blog posts compiled into one e-book. Require an email address before releasing the free download. This will help you to better track conversions, as well as to grow your email marketing list. Think about it this way: Building relationships through content is a lot like the ocean. The ocean rushes up, and recedes. It rushes up, and it recedes. It does this repeatedly. After a while, something shiny and pretty washes up on the shore. Your content starts to build a relationship with your prospective customer. The more content you produce, the better your conversion will be when you ask for the sale. That comes down publishing compelling content with a strong call-to-action. Ninety-seven percent of customers read online reviews for local businesses, with 12% of consumers looking for a local business online per day. It’s important because 85% percent of consumers trust online reviews as much as recommendations from people they know. If the reviews are positive, then 73% percent of consumers are going to be far more inclined to trust that local business. Add customer reviews to the blog posts that are about your products. Share or Retweet positive social media mentions and product reviews. Obviously, written testimonials are going to be great for your dispensary. But, video content is going to be huge throughout 2018 and beyond. Ask your happy customers to create a short testimonial video for your dispensary and send it in through your main social media platform. Make a collage of screenshots featuring the best testimonials you receive. Case studies explain the problem the customer had, the solution your dispensary came up with, and the positive results. These can be published as standalone pages on your website, as bonus links in your email newsletter, or as downloadable PDFs. Create a short tutorial that highlights the best features of your product, what the effects are (if applicable), and shows your product being used. At the end of the marijuana product tutorial, remember to ask for the sale and to provide contact information such as website, phone number, and address. It’s more expensive to get a new customer than it is keep a satisfied customer coming back. In fact, you have a 60% -70% chance of getting a sale from an existing customer, yet you only have a 5% - 20% chance of getting a sale from a new customer. Creating content for the purpose of retention should be focused on building a sense of community among your target audience and customer base. That’s what’s going to drive your content marketing efforts. There are several options for content that will boost retention and build up your community. Unless you’ve been hiding out in a cave somewhere, you undoubtedly recall the recent ALS Association Ice Bucket Challenge. If you participated in it, then you were part of a shared experience that generated value-driven content. Design a community experience centered around your brand, and you will generate tons of great PR and content for your dispensary. Email newsletters are one of the best ways to increase customer retention and conversions. Include content that highlights new products and current happenings at your dispensary, as this makes your customers feel like they’re part of something exclusive. It’s like an inner circle made up of only the most loyal customers. When creating your dispensary email newsletters, include a collection of links to relevant blog posts, infographics, or other types of content. Build a sense of community within your target audience and website visitors by creating contests that use social media. For instance, you could run a contest for the best picture with one of your products, such as a joint or bong. You could also tie your contest into one of your blog posts, such as one about how to tell if a stoner likes you, by having people post pictures with their “stoner bae” and tag your dispensary using a branded hashtags. Contest winners could receive products, gift cards, discounts, or other tangible prizes. Use previous winners as part of your next marketing campaign, adding a relatable social proof element. Asking your customers and website readers for their opinion and feedback is a great way to make them feel included. This builds the consumer-brand trust and perceived value that drives sales. So, send out a survey in your next email newsletter. Alternatively, you could ask them to take a brief survey when they’ve visited your marijuana dispensary website. When the survey ends, compile all the results into a marijuana dispensary blog post or in a follow-up email. Don’t forget to thank the participants for their feedback and opinions! Compiling a body of value-driven content isn’t just about getting more website traffic. It’s not even just about getting new customers. Content is about building long-term relationships with your website visitors, nurturing leads, and getting them to come into your dispensary again and again. Content marketing may take time and effort, but it’s the most affordable way to provide value to your customers. And, to consistently provide the type of value-driven they need, when they need it the most. As you plan out your content strategy, focus on creating marijuana dispensary content for each step of your sales funnel. Target customers at every step of your sales funnel. Content marketing works at all points in a consumer-brand relationship, not just when you’re out looking for leads. The secret to effective search marketing campaigns is content that resonates with target customers during each step of your sales funnel. However, 17% of B2C marketers rarely (or never) create content that is based on specific steps of the sales funnel. These are the brands that struggle with their content marketing. But, that’s not going to be you. Booklexia Content Marketing’s team has extensive experience creating content that attracts, engages, and compels readers to follow your call-to-action. My team can give you increased performance and conversions for each step of your sales funnel.